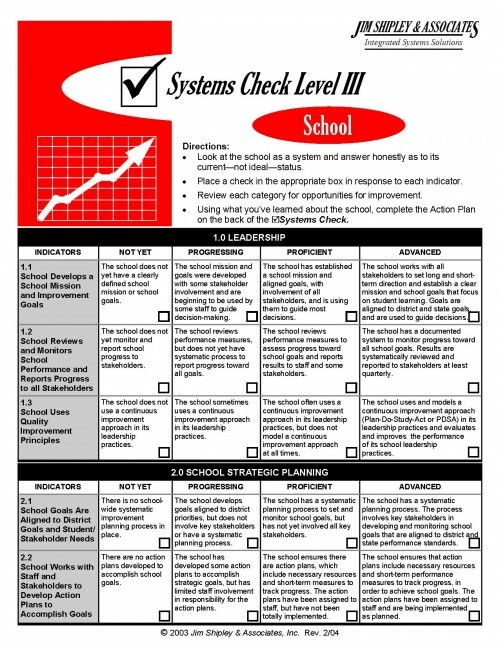 Purpose: Monitoring and Supporting Classroom Implementation is to clarify the process for using the Classroom Systems Check and Classroom Learning System (CLS) Walk-Through Guide and Formative Assessment to monitor and support classroom implementation of a Baldrige-based systems approach to continuous improvement. Clarification of the JSA recommended approach to developing high-performing classroom learning systems. 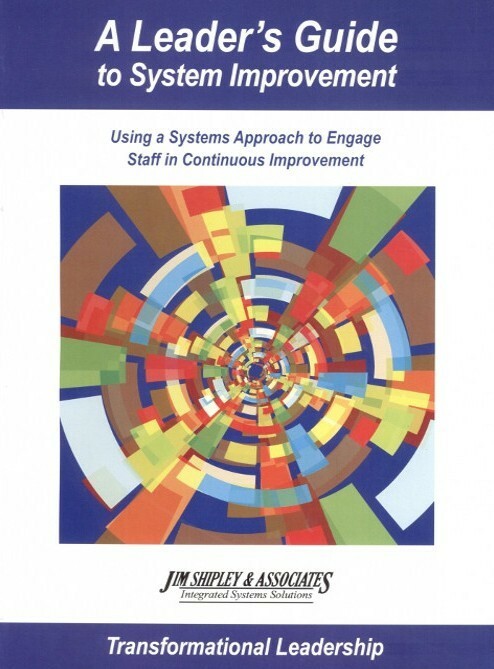 Increased understanding of the Baldrige components and organizational best practices as the blueprint for continuous improvement essential elements of a high-performing classroom. Ability to differentiate between a learning walk and a walk-through. 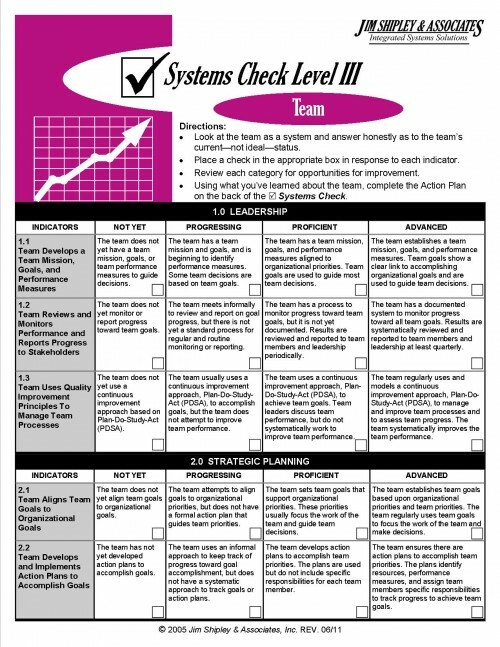 A customized plan for monitoring and supporting classroom implementation. 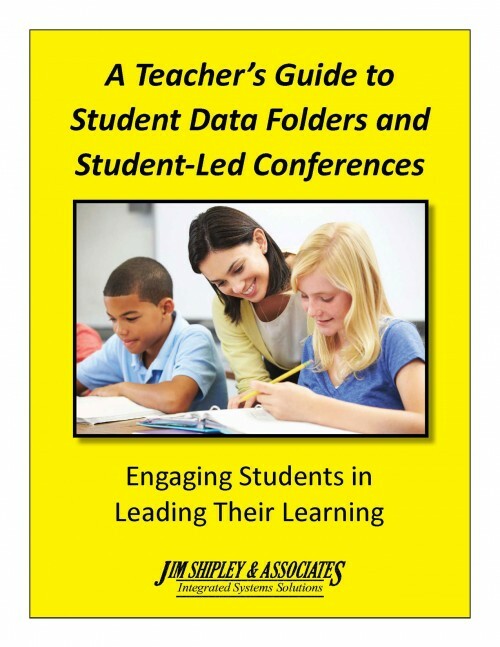 Those school and district leaders with responsibility for monitoring and/or supporting classroom implementation of a systems approach to continuous improvement: principals, district-level supervisors, instructional facilitators, curriculum coaches, peer mentors. 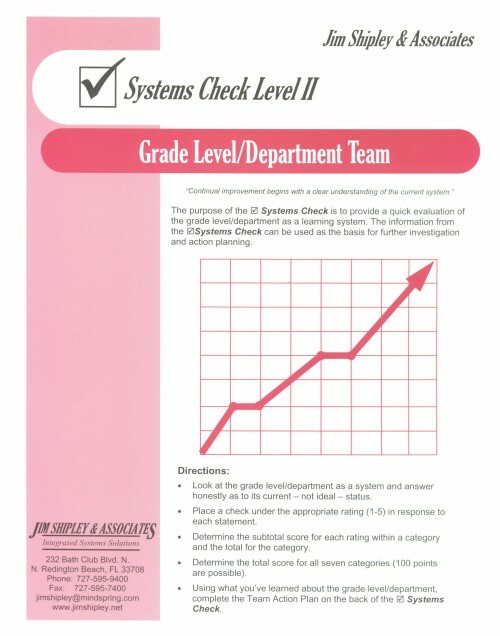 Participation in JSA classroom-level training such as Classroom Continuous Improvement, Teacher and Student Partnerships, etc., personal experience with the JSA Systems Check Level III for classroom, school, team, and/or district leadership, a basic understanding of the JSA Classroom Walk-through Guide and Formative Assessment.